It is strange when you visit Eastbury Square, Barking today and find an Elizabethan manor house stuck bang in the middle of rows of terrace housing. I have heard less intelligent residents comment that it is odd that such a dwelling should be placed here. If only they would stop and think of the folly of their statement, they would quickly realise that this dwelling has survived here since the 16th century-- a relic of the Elizabethan age, being occupied by their gentry-- and hence the name of the street which leads there, being designated as Tudor Road. The house today is a Grade 1 listed building, and was listed as such in 1954. It is usually described as “an important example of a medium-large sized Elizabethan manor house”. There is much dispute over when it was built. Analysis of twelve of its timbers by dendrochronology from the roof, by the Ancient Monuments Laboratory in 1997, suggests that its construction date was not before 1566. The official date noted on a leaden spout rainwater head on the south side of the house is 1573; this is no longer visible. In all probability it took many years to complete and was built between these dates. The building is of an H-shaped plan, being a three-storey red brick and timber building. The bricks employed measure 10 inches by 4½ inches and are laid in English bond. The exterior walls form a parallelogram, being 95 ft 4 inches in width: with a depth of and 74 ft 2 inches. The front of the house lies to the north, where the main entrance is via a porch; it also has two wings, and to the south a courtyard is attached. In the angle of the courtyard were two octagonal towers fitted with stairs; today only the northwest one survives. Viewing from the outside you cannot help notice that a number of single panes of glass, make up each window. This term architecturally is known as ‘mullion and transom’ style. These were purposely made small so that they could easily be replaced, and the fact that large glass panes were not yet a commodity. The ground floor originally comprised of a dining room, vestibule, hall and buttery, plus a parlour and kitchen. The two staircases, within the two turrets, linked the floors together. On the first level were 5 or 6 further rooms, with the one to the north, above the hall, being known as the ‘painted room’, with walls adorned with paintings. The western side here appears to be reserved for bedchambers: while the eastern wing was the ‘Great Chamber’, equivalent to a drawing room today. There is evidence of a hiding place, probably for silverware and valuables, between the ceiling of the porch and the floor of the above room, with access to via a trap door. This is around 3½ feet high. The second floor was the attic and roof level. Here were found three galleries, which were long and low, with a cradled roof above. They extended the entire distance, end to end of each block of building. A large gabled-window was found at both ends, with other windows forming small brick dormer recesses. There is also indication of garderobes on each wing of the house, being a private room or privy. This was unusual, as they are not found frequently on buildings from this time scale. The building has some fine ornamental chimneys. They were a Tudor innovation and were a sign of affluence and status. On the courtyard side the central block is a chimney with 5 diagonal shafts, and there are two other chimneys comprising of three shafts to the flanking wings, one of which is imperfect. The inside wall structure is of lathe and plasterwork. 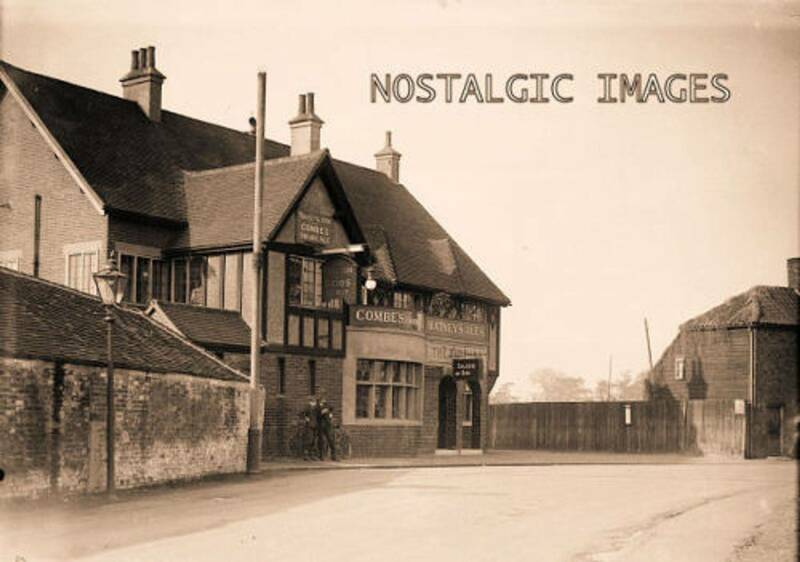 By 1910 only one room had the original oak panelling left; the oak panelling of the remaining rooms, together with the fireplaces had been taken out and went to decorate Parsloes Manor House, which in turn was pulled down to accommodate the building of the Beacontree Housing Estate. Also listed are the walls to the former pleasure garden, which make up a square enclosure to the east side of the dwelling. These also date from the 16th century. This has recently been recreated, but the original layout is unknown, but in the 19th century it comprised of large box plants, being grown in order. If we observe the garden wall here we notice seven recesses that may have once been bee-boles. These were artificial bee hives made from woven straw or wicker, which was covered with clay, and utilised from Tudor times until the late 1800s, especially in the wetter and windier parts of the country by beekeepers. Beyond this was the orchard, which had some nice fruit trees growing, also a fishpond. The pond itself is again an indication of the house’s status. Also outside would have been barns and stables. The history of Eastbury goes back to at least feudal times, and possibly to the Saxon era. The Abbess of Barking held it after the establishment of the feudal system as part of her manor. It is likely that the estate was held by one of her knights. The name is very archaic and first noted as 'Estberi' in 1321. A dwelling would have existed here at some point prior to the building of the current structure. Barking Abbey was dissolved in 1539 under Henry VIII. The grounds of Eastbury were soon leased to Nicholas Stoddard the following year, before passing to Sir William Denham in 1545 by the king. 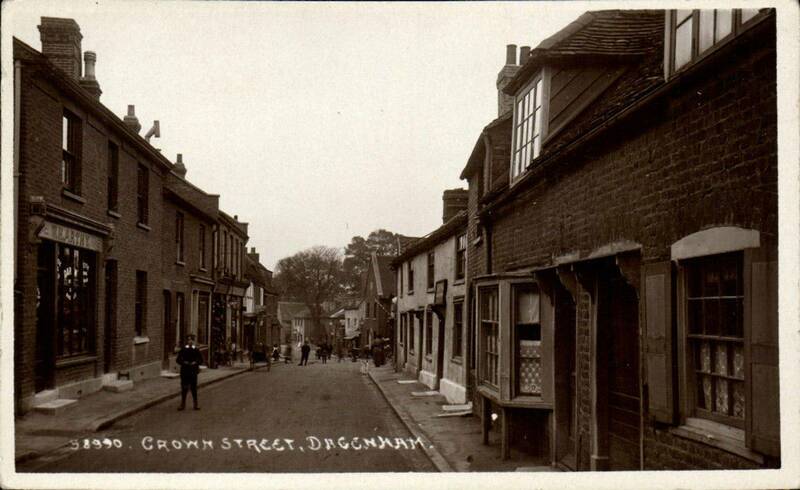 When Denham passed away his lands went to his daughter Margery, being the wife of William Abbot. This remained in their hands until 1556, when the manor was sold to an agent of Clement Sysley, named John Kele. 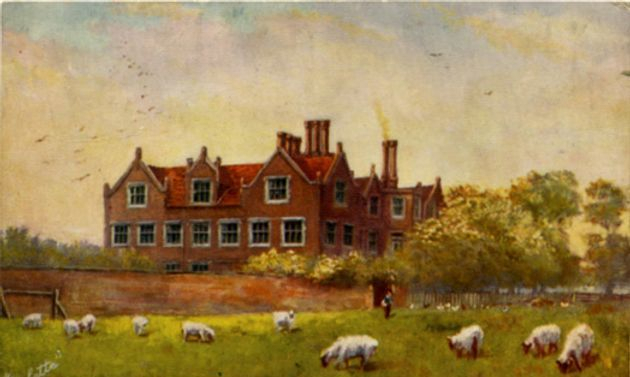 It was Clement Sysley who purchased the grounds of Eastbury in 1557, and constructed the Manor House their. During this period it became known as ‘Estbery Hall’. It stayed in the family’s hands until c.1607. The house then passed through numerous owners and occupiers. For those who are interested these are noted in the Victoria County History of Essex, volume 5, available from the local library service. 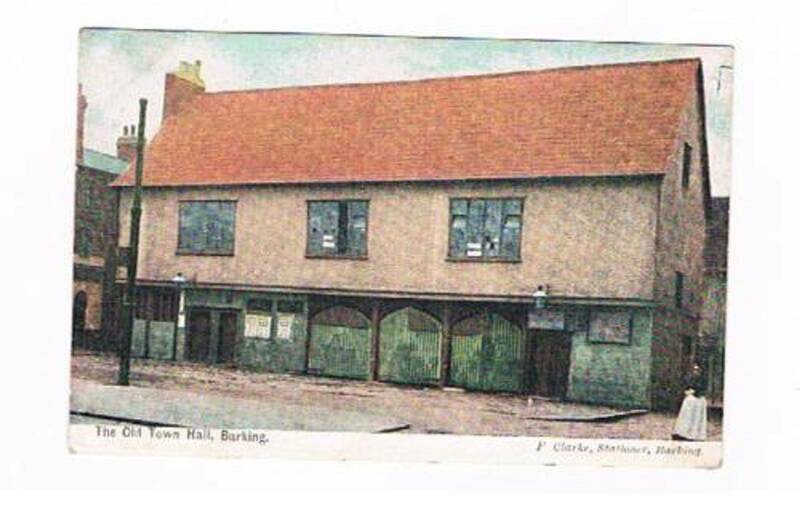 One other big name in Barking history worthy of a mention, who owned the house was the Sterry family. They came into the picture, through John Weldale, who had three daughters, and one named Ann inherited her sister’s shares, and left the manor to her cousin Mary Sterry (daughter of Samuel Johnson), and wife of the Reverend Wasey Sterry [d.1779]. It remained in their hands until being split up for housing. The house has had a rather turbulent history, especially between the third quarter of the 1700s to a period just prior to the First World War, and its continued existence was very uncertain. Initially it was converted into a farm, and run by a number of tenant farmers, like William Scott, and became a sorry spectacle to behold. The disregardment and ruin dates from the time of Scott’s occupation. In 1780, Mrs Scott chucked a number of figures that were positioned in nooks in the garden wall in the fishpond. It was just prior to 1814 that the northeast tower was partly destroyed. Some say it was struck by lightning. The whole house also just survived c.1833-42, when it was in the ownership of a Mr Wasey Sterry [d.1842]. With demolition in mind the northeast tower was completely removed, and was employed to repair the barns. Some panelling was ripped from the walls, and some oak flooring pulled up, also for the barn. Some wood though, went to restore Parsloes, along with some good quality chimneypieces, and fireplaces. It was only the fact that Edward Sage, the Deputy Steward of the Manor of Barking, and a number of others discouraged Sterry from tearing the whole structure down. They appreciated the ancient and architectural worth of Eastbury. According to the County History, Sage notes that Sterry had “spoilt the interior by modernising, in a cockneyfied manner. The quoins of the west wing on the ground floor, and converting the residue of the house unto stables, granaries and coach-houses. This was done in 1841, and in the following year he died a lunatic.” The inside had declined further by 1861, although some repairs had been carried out. 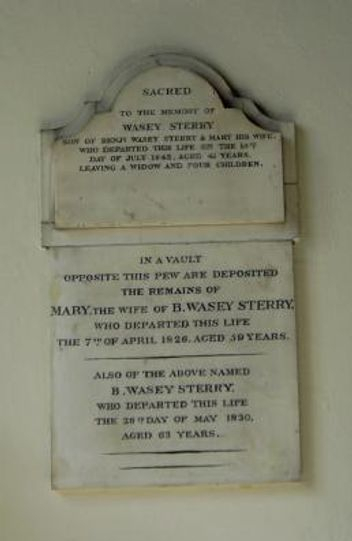 Wasey was the son of the Rev. Francis Sterry and Augusta Emily Middleton. From 1869 until 1898 Francis Sterry was Rector of Poltimore near Exeter, Devon and owned the Sterry family estate at Eastbury House, Barking, Essex, which had been in the family since his great grandfather, Benjamin Wasey Sterry, who was born almost exactly 100 years before him. Rev. Francis Sterry inherited the family estate in 1842. He was then aged only 12 when his father died. He lived there until 1884 when he sold Eastbury House and purchased a new home which he called "Fort Hill" in Barnstaple, Devon where he retired some time before 1898 and which has remained in family hands until at least 1936. Eastbury House yet again came under threat, shortly before the First World War, when Francis Sterry began to sell part of it for housing redevelopment. In February 1913 Mr A. Blake brought the Eastbury House Estate, with the intention of developing it for building purposes. The question again arose about whether it should be preserved. By November 1913 it was decided that the region should be redeveloped. The question again arose about whether it should be preserved. By November 1913 it was decided that the region should be redeveloped. The Council’s Highways & Planning Committee approved plans for the laying of sewering and drainage in six new roads on the Eastbury Estate in June 1914. Although no building work had taken place here the estate was described in November 1916 as, “The Garden Suburb of Essex”, and one that will be, “The prettiest place within 25 miles around London”. There was no real building work around the house until 1921. Percy Bayman purchased the building and its immediate surrounding land from Sterry about 1916. The house was saved during this period through much effort from the Society for the Protection of Ancient Buildings, and the London Survey Committee, and hence survived. This enabled the National Trust buy it in 1918. The terraced dwellings of Eastbury Square were built around this, being completed just after the Great War. 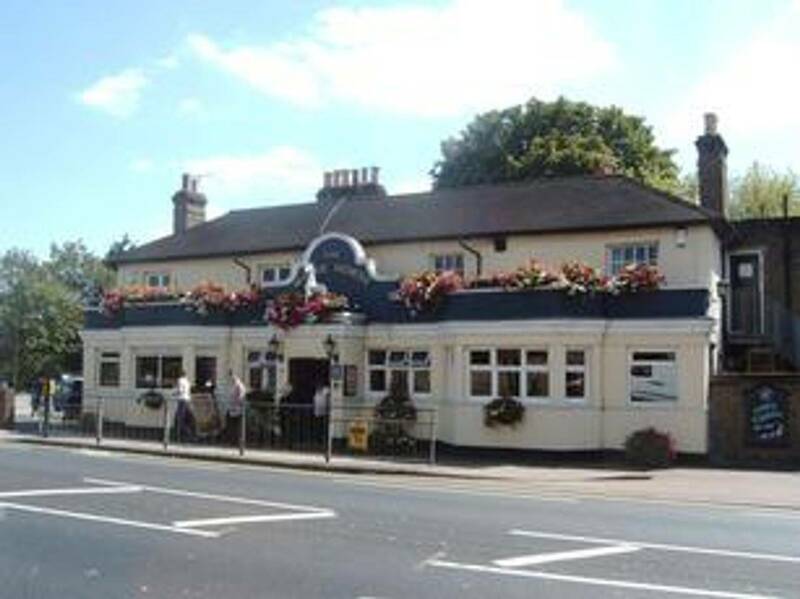 It was during this time that part of the structure was employed as an ex-serviceman’s club. In late 1929 electric lighting was mooted for the region. 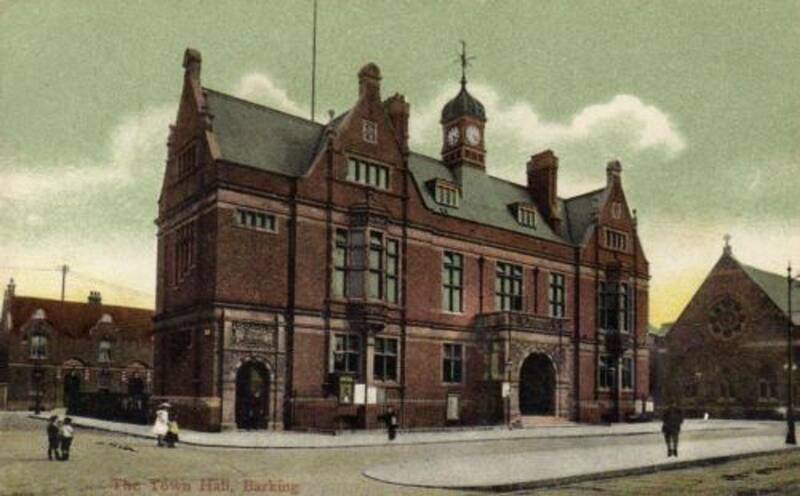 The edifice was untenanted just before it was leased to Barking Urban District Council in 1934, and during this had sustained additional damage from hooligans. The following year it became their museum, albeit briefly, from 1935 until 1939, being open every day with free admission. During World War Two the house became an ARP platform and a nursery for the children of workers who were engaged in the war effort. Eastbury House only received minor damage from bombing. This led to the house becoming a day nursery after the hostilities ceased, and it also coped with other welfare needs, which it provided well into the 1960s. The Council repaired the house in 1964, undergoing extensive renovation works. It was then given to Barking Arts Council. The house was revalued at £187,000 in 1968 and owing to this the council would have to stump up an extra £110 insurance. The previous figure provided by the National Trust put this figure at £77,000. January 1984 saw Eastbury House suffer heavy vandalism. This was since a resident caretaker had retired. There was a series of broken and boarded-up windows. The Borough Engineer noted that there was intention of installing another permanent caretaker. The vandalism was taking its toll in February 1984, with the cost of replacing windows being £100,000. With this came the cost of running the structure at £32,000 per annum. This was so great that Barking Council were considering asking the National Trust to back the building from them. Especially with the Grade 1 listing, which meant that any alterations had to be done within restrictions laid down by English Heritage. In 1986 a total of more than £200,000 had been allocated on refurbishing the house, over a four-year period. This included the removal of some of the old chimneys to be repaired, which had been rocked by high winds. A statue in the courtyard was also restored, known as “The Thinking Man”. After coming under the direct management of the borough in 1990 much thought was given over what future role the dwelling would play. It was decided to make it a far more reaching centre for the community’s cultural and educational services. The following year the new Borough Arts Forum was created, being based at Eastbury, after obtaining approval from the National Trust. By December 1992, consultants Prometheus Planning recommended that the house become a regional focus for all arts, cultural activities and local history. 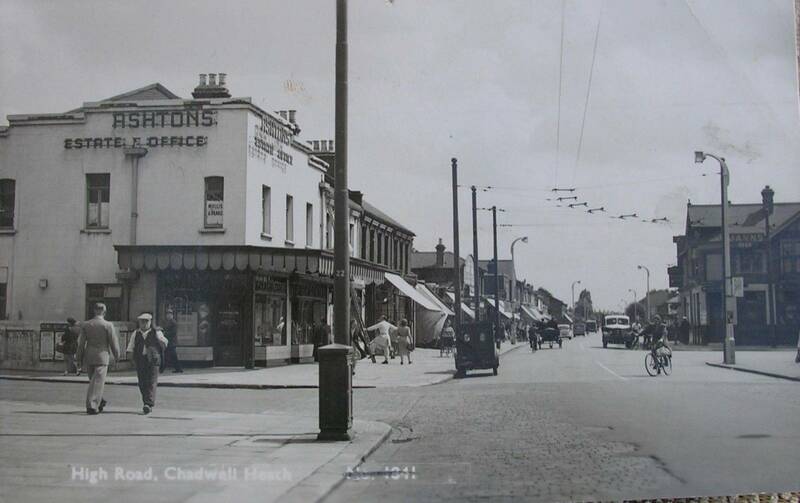 It was noted that Eastbury could become a place where professionals rubbed shoulders with the amateurs. Other proposals included: opening a museum in the attic rooms; space for building stage props and costumes; a school history and arts centre; and also to create A Friends of Eastbury House Group. The only problem was that Prometheus envisaged that this would cost £50,000. The borough’s arts development officer noted that something more modest spread over a few years were more liable to be accepted. On the 25th September 1993 the Barking Arts Forum held a special arts and crafts day, with numerous local groups taking part. In April 1995 there was a plan to reinstate the gardens at Eastbury, along with the courtyard. The first stage was that the National Trust would provide an archaeological survey of the grounds and garden, and a landscape designer would make plans. The 9th May 2002 saw the Queen as part of her Golden Jubilee Tour visit the house. There she met craftsmen working on its restoration and a number of representatives from local communities. This was not the first time Eastbury House had been visited by royalty, as in May 1925 King George and Queen Mary dropped in on their way back from opening the new Power Station at Creekmouth, also passing the fresh estate. Today, the council still manage it on behalf of the National Trust, and is the head office of Barking Arts Council. 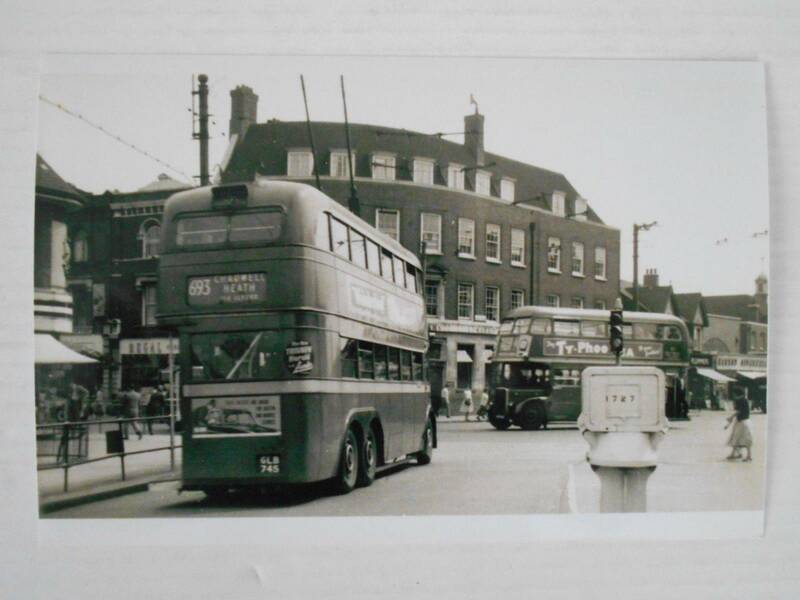 Various groups meet there over the course of the month, and include Barking Photographic Society, The Eastbury Players, who are an amateur dramatic and operatic society group, and the Becontree Brass Band. In April 1998 an application was lodged to approve Eastbury House as a venue for civil marriages. This was granted and weddings have since taken place here.